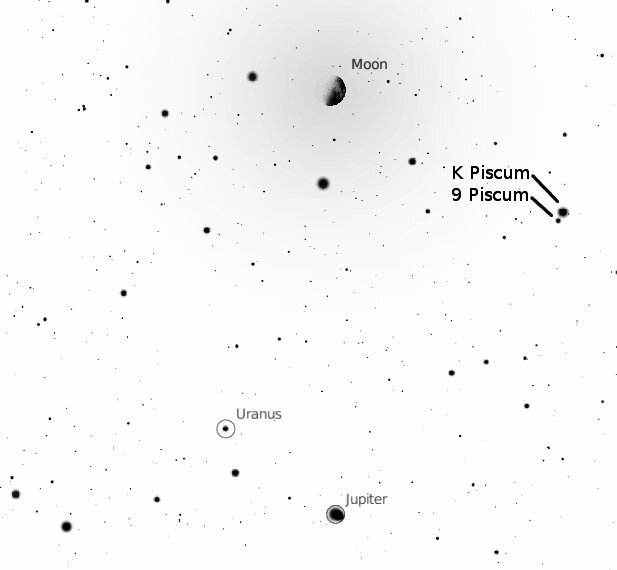 Note the nearby stars K and 9 Piscium (so named because they are in the constellation Pisces, the fish). They make a visual double but not a gravitational one, which means that they are accidentally aligned as seen from Earth. K is brighter mostly because it is closer, only 162 light years away compared to 9’s 400-plus. All of those are easy binocular targets. 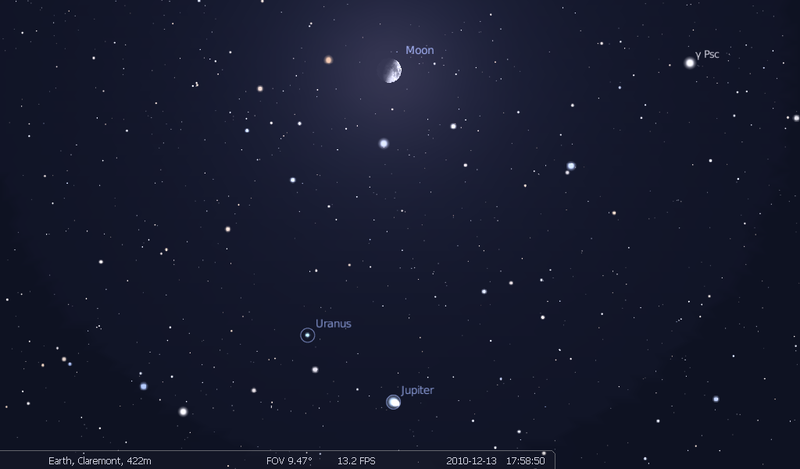 In a small telescope, the view only gets better: hundreds or thousands of craters and other lunar features are visible, as well as cloud belts on Jupiter, and Uranus may show up as a small blue-green disc instead of a mere point if you crank the magnification. But it will be worth taking a moment to see even if all you observe with are a couple of Mark 1 eyeballs. Go have fun!